Learn the following key words - Impress, Block, Texture, Surface, Print, Pressure, Collaborate, Successful, Technique, Equipment. Write down 3 things you need to remember to make a good quality print. Write an instruction sheet for someone in year 5 to explain how to make a print. Remember to use key words such as polystyrene block, roller, ink, impress. Produce a drawing of an Aboriginal Piece of Art, it could be a symbol, a pattern or a whole piece of art you have seen that you like. Create a poster containing at least 8 facts about Aboriginal Art. Use your EBI of your poster to help you to improve the quality of your work. ​Produce a poster on 10 key words you have learnt in Art. You need to show your understanding by either drawing am image or writing an explanation. Add more detail to your mood board, by adding drawings or words in the correct colour to make it strand out more. Produce a mood board / poster of the colours you have chose to use on your pepper. Include pictures of things that are those colours. (You can cut these out from magazines). Primary, Secondary, Complementary, Harmonious, Layer, Overlap, Progresses, Twist, Opposite, Collaborate, successful, Technique. Write down 2 What Went Well and 2 Even Better If for the process of making you pepper. Produce a drawing of your pepper and add the colours to it that you have chosen. You need to use different shades of those colours to help it look 3D. Write down what three colours you would use for you pepper and why. For example you can choose a set of Complementary colours and then chosen one colour next to either one, Red and Green and then orange. Or you could select Harmonious colours, that are all next to each other on the colour wheel, Yellow, Blue and Green. Produce a drawing of your own choice to show your skill and understanding of using tone. Produce an information sheet on how to create your 3D pepper, you will be producing it for year 6 students. Write tips for students to use while creating their own. Use your homework from this week to help you. Write a draft outline to describe how you have made your 3D pepper. Think of each step. Develop the quality of psoters created on the spelling learnt. Produce a poster containing the spellings learnt from last week. Either use drawings or written explanations to show your understanding of each word. 1. Learn the following spellings: Primary Secondary, Complementary, Harmonious, Scrunched, Raised, Progresses, Twist, Opposite, colour wheel. You will be tested on them after the Christmas holidays. ​2. Write down 3 things you feel are you strengths within art and 3 things you need to improve on and why. 1. ​Produce a drawing in the same colour as your poster you created for this weeks homework. For example: If i produced a red poster i may draw on of the following: a red car, a strawberry, a cherry, a red flower, a ladybug. 2. Write down 2 sentences about what you have done well in art so far this year. Create a poster about a single colour. Use images that are in that colour, drawing of objects that colour, different techniques created in that colour, you could write the colour in bubble writing and add different shade of that same colour to it. Create your own colour wheel to show your understanding of primary and secondary colours. Use the skills learnt in class to develop one more piece of homework, remember it is about the quality of each piece not the quantity of work produced. Improve the quality of your homework previously produced. Think about the skills you have learnt in class and how you can use them to develop your work. Make a drawing of 3 eggs in a bowl - this is an observational drawing - you must observe (look at) 3 eggs in a bowl. Do not make it up! If you have no eggs you can use apples or oranges or even marbles. Show where the shadows are by using tone. Draw a shoe using line, tone and texture. Think about the skills you have learnt in class to help you complete this. Cut either an apple or an orange or a pear or a lemon in half and draw it using shapes, you can add detail (Tone and/or Mark Making) to make it look more accurate. Use the 'What Went Well' and 'Even Better If' notes made on your home works to improve the quality of them. Think about the skills you have learnt in class and how you can use them to develop your work. 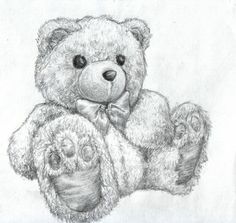 Produce a drawing of a soft toy using MARK MAKING only to make your drawing look 3D. You need to use an A4 piece of paper, make sure your drawing fills the page. Produce a drawing of either a vegetable or a piece of fruit using TONE to make your drawing look 3D. You need to use an A4 piece of paper, make sure your drawing fills the page. Produce a poster on TONE and MARK MAKING. Think about the similarities and the difference that you have learnt in today's lesson. You must produce your poster on A4 paper. Draw to symbols to represent the following: A tree, a Swimming Pool, a house, a bus stop and A post office. Produce a Birds Eye view drawing of a journey you take from your house, think about what you have learnt in the lesson. Draw a key to show the symbols you have drawn within it and add colour. Complete the symbols sheet by identifying what they are and fill in the journey hand out you have been given. Produce a poster containing the words learnt for your spelling test. Make it bold and interesting and show your understanding of what the word means. Learn the following spellings: Aborigine, Australia, Walkabout, Dreamtime, Birds eye, View, Journeys, Symbols, Stencil, Earth, Colour. Produce 2 drawings of Aboriginal Art, think about all the skills you have learnt over time to help you add detail to them. Create a research page on Aboriginal Art - include words and pictures. Use the feedback given in lesson to develop your mood boards, add more detail by incorporating more text and images to your page. Over the next few lessons you will be looking at adding colour to your peppers so you need to think of the three colours you will use and why. Think about what you have learnt about the different types of colours there are. Produce a drawing of either a vegetable or a piece of fruit using TONE and MARK MAKING to make your drawing look 3D. You need to use an A4 piece of paper, make sure your drawing fills the page. You will compare this drawing to one you have previously produced so make sure you have used all the skills you have learnt. Produce a poster on 10 key words you have learnt in Art. You need to show your understanding by either drawing am image or writing an explanation. Using the notes taken from your group discussion and your last piece of homework to produce step by step guide for someone to use when making their own pepper sculpture. Make it creative and eye catching. Write about the process of producing your pepper sculpture so far. Think about it step by step, from drawing the outline for the template to adding newspaper using different techniques to build up the shape. Learn the following spellings: Primary Secondary, Complementary, Harmonious, Scrunched, Raised, Progresses, Twist, Opposite, colour wheel. You will be tested on them next week. Write down 3 things you feel are you strengths within art and 3 things you need to improve on and why. Produce a poster on the spellings learnt for the 16th November. Make it for a Year 5 students so try to explain each word or draw an image to represent the word. Produce a poster on the different types of colour you have learnt about in your lesson. Primary Colours, Secondary Colours, Complementary Colours and Harmonious Colours. Produce a poster on 6 Key Words you have been using in Art. Try to think of ways of showing your understanding of the key term by drawing an image to represent it or writing the word in bubble witting and adding detail to the letters. Make it creative and eye catching. You have had time to look at and reflect on all the homework you have completed over the last few weeks. You now need to use the feedback given to help you develop the quality of your homework. Some of you will need to complete outstanding homework too. Produce a drawing of either an apple, an orange or a pear cut in half, paying attention to the shapes you can see within your object. Use what you have learnt in the lesson to help you create a successful drawing. You need to produce your drawing on A4 paper. Learn the following spellings: Shade, Tone, Pressure, Mark Making, Outline, Proportion, Scale, Develop, Rough, Smooth. Produce a drawing of either a vegetable or a piece of fruit using TONE and MARK MAKING to make your drawing look 3D. You need to use an A4 piece of paper, make sure your drawing fills the page. Produce a poster containing information about Tone and Mark Making. Think about the differences and how you would create different shades. Make your poster creative and eye catching.